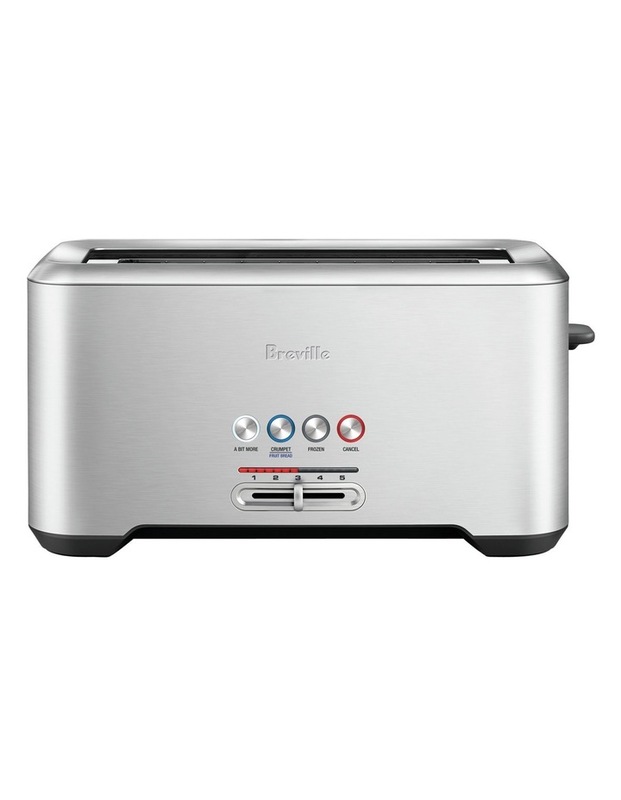 The 'Lift & Look' Pro comes with 'Fruit Bread' setting, allowing you to adjust the perfect toasting time for fruit bread at the touch of a button, helping to prevent burnt toast. Check your toast at any time without interupting the toasting cycle with the 'Lift and Look' function. The 'Lift & Look' Pro also features an LED progress display to indicate time left in the toasting cycle, and 'A Bit More' button for, well... that little bit more.